Researchers at the American Public Health Association found that over a 45-year career, a construction worker has a 75 percent likelihood of experiencing a disabling injury, and a 1 in 200 chance of being fatally injured on the job. (1) Moreover, hazard communication remained No. 2 on the American Occupational Safety and Health Association’s list of top 10 violations in 2016(2), indicating a clear lack of necessary workflow systems to ensure employee safety. Considering that injury is often correlated to this lack of communication, it’s evident that a more thorough and reliable solution to workplace safety is needed to ensure workers are punching into a safer worksite. It has been shown that a smart worksite offers both return on investment (ROI) and a safer working environment. For example, a connected workforce – one with accurate, real-time reporting and shared awareness – allows companies and worksites to be safer, more efficient, and perpetually compliant. Not only does workflow become cleaner as safety and reporting features work in collaboration with project objectives, but employees are better engaged with the correct action at the right time and place. Plus, accurate record keeping is easy to achieve, as it is no longer hindered by human error. This white paper examines how new technologies can offer increased safety and efficiency on the worksite. 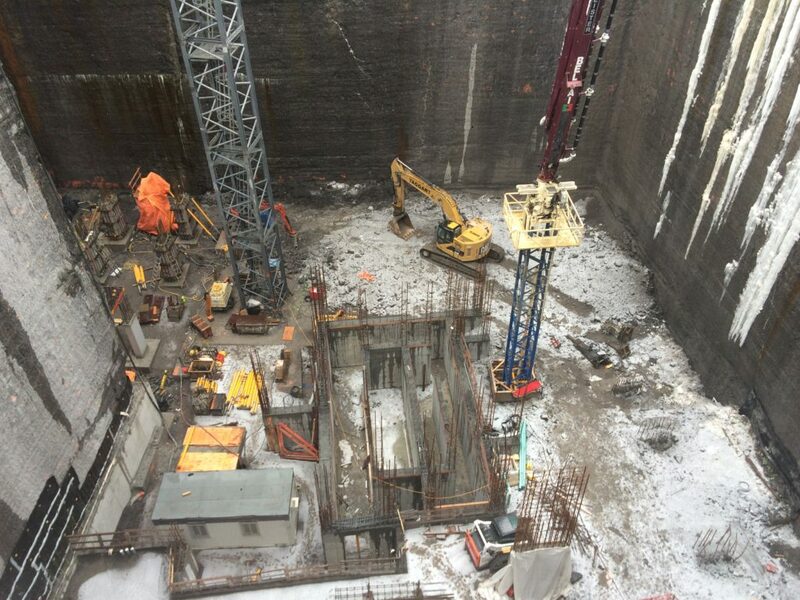 In March 2016, a tragic incident occurred at a worksite in Ottawa. A construction worker was struck by a large piece of ice and, in the aftermath of his death, many questions remained: Who was doing what? Where were they? When exactly did it happen? Controversy surrounding the event was further highlighted as it appeared evident that the workers on site were concerned about the dangers of ice buildup prior to the accident. Several workers had discussed the dangers of falling ice, but reporting systems can often break down, and it seems in this case corrective action was not taken, awareness was not achieved. So, how was the pre-established knowledge of perceived risk not translated to acknowledgment and action? It seems workflow mechanisms were not in place to prevent the incident.On large jobs run by experienced operators, it is often assumed tools for managing safe worksites are available and in use. In Canada, about a quarter of the 900 annual workplace deaths occur in construction(3), and Bill C-45 allows for the prosecution of organizations and corporations in workplace deaths under the Criminal Code. But despite this extreme liability, intelligent safety and reporting mechanisms are rarely implemented—as was the case in 2016. As is evidenced by this tragic incident, safety is both ethically and financially important to every business. With safety requirements often transpiring on the frontline, a solution that integrates with the workflow of the worksite is essential so meaningful and successful adoption is had by all employees. Fortunately, it is not farfetched to imagine mobile technology leading to smarter, safer worksites. Suboptimal communication and reporting is more than just an inefficiency: It is a barrier to a safe worksite. Projects that lack well structured communication and reporting mechanisms fail to maintain perpetual safety and compliance. Policies and procedures are prone to breakdown on a busy worksite. From weak reporting to communication structures prone to failures, the challenges they encounter (i.e., inaccurate time and attendance, productivity reporting and inspection and safety compliance management (ISCM)) put employees at risk and can have a negative impact on their bottom line. All too often, the solutions that are developed to satisfy reporting requirements and liability mitigation require additional attention and maintenance, and lead to fragmented processes prone to human error. Moreover, they do nothing to foster engaging relationships with stakeholders at any level. Even many digital solutions have challenges. Lacking or inadequate situation awareness has been identified as one of the primary factors in accidents attributed to human error. On worksites, situation awareness is especially important as workflow is fast paced and consequences can be very high(5). Connected engagement with employees on the worksite is not always easy, but it’s critical to achieving optimum safety and accurate reporting. Beyond construction, additional sectors such as agriculture, energy, and mining also have an ever-increasing number of reasons to implement smarter, more connected safety and reporting solutions. Smart worksites promote shared situational awareness (SSA), a powerful foundation for decision making that allows the collective knowledge of the project, progress, communication and ISCM to be used optimally. SSA utilizes accurate, real-time knowledge of who is doing what, when, and where. It collects and shares information specific to the worksite with the right people – at the right time. Situation awareness involves being aware of what is happening in the vicinity to understand how information, events, and one’s own actions will impact goals and objectives, both immediately and in the near future. One with an adept sense of situation awareness generally has a high degree of knowledge with respect to inputs and outputs of a system, an innate ‘feel’ for situations, people, and events that play out because of variables the subject can control(6). A worksite hub that connects to a smartphone, tablet or computer creates a connected workforce. One that is easily capable of managing workflows, such as time and attendance, ISCM and productivity reporting. Improved workflow and reporting can create ROI through multiple efficiencies by fully leveraging the resources and expertise of the company. A perfect solution would scale to organizations and projects of every size, allowing anyone to easily create and manage a smart worksite. 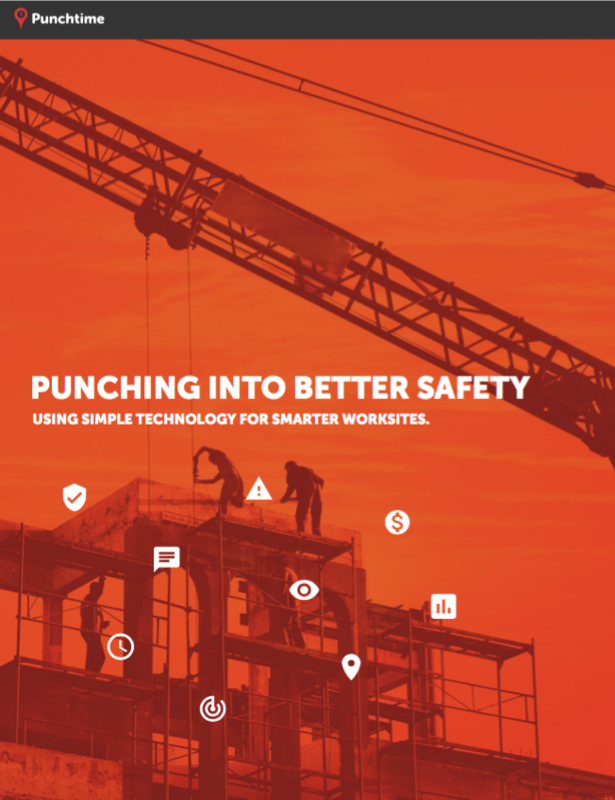 Punchtime is a technology company that believes reinventing the worksite represents the greatest opportunity to make work safer, easier and better reported. Our products empower smart worksites, improving safety and productivity as a result of organized and engaged stakeholders. With unique and engaging ways to utilise smartphones, wearable devices, and BLE beacons and sensors, Punchtime records daily operations from workers and their environments. A smarter worksite leverages ubiquitous computing to capture field data, increase safety compliance and provide all stakeholders with shared situation awareness. ISCM is available real-time, actively engaging the workers with the knowledge and policies designed to ensure safety. Additionally, hazard and job safety analysis (JSA) will auto-populate with knowledge of the requirements pertaining to equipment and tasks. In addition to auto-populated data, hazard assessments include collective inputs of real-time safety concerns as spotted by employees on the worksite. This not only allows for ISCM, but uses the intelligence from shared situation awareness of the worksite to produce safer, more productive environments. Thus, the more workers on a worksite, the greater the opportunity to connect those workers to the project and the collective in a meaningful way. Communication is efficiently managed through channels specific to the people, the task, or the project, assuring context. Punchtime also solves the daily struggles in the collection and management of basic day-to-day employee and project information. By connecting the people, equipment and tasks relevant to a project, the appropriate ISCM workflow automates around the assets as they relate specifically to that project. The workflow of a smart worksite is truly achievable with Punchtime, an always-on safety system with a built-in mechanism to bubble more concerning hazards to the top of the attention pile. Eliminate paper by using mobile devices to collect data in-field. Achieve perpetual safety compliance readiness with ISCM, including hazard assessments and COR™ ready features. Automate time and attendance tracking. Simplify productivity reporting with metrics and visualizations. Ensure accuracy with built-in verification and proof of data. In addition to the above, Punchtime helps companies better engage with their workforce and projects – while creating an intelligent safety strategy. The simple, self-onboarding process means any size company can quickly and efficiently implement Punchtime for one or multiple smart worksites, often in as little as 20 minutes. Punchtime also allows you to assign material and/or time units toward project targets. These targets enable productivity to be easily managed with real-time updates and insights, a critical component in the progress of any project. Safety on the worksite is both ethically and financially important to every business. And yet, even large, experienced operations fail to have the correct workforce systems in place. Unfortunately, suboptimal communication and reporting is more than just an inefficiency: It can hinder employee safety. With real-life tragedies happening every day, it’s even more critical to implement a system that creates a connected workforce. A smart worksite offers return on investment (ROI) and a safer working environment. Accurate, real-time reporting and shared awareness allows companies and worksites to be safer, more efficient and perpetually compliant. SSA utilizes accurate, real-time knowledge of who is doing what, when, and where, sharing information specific to the worksite with the right people—at the right time. Punchtime is forging ahead to continue creating worksites that are smarter, safer and more efficient. In addition to standard safety, compliance and productivity reporting, more comprehensive integration with equipment and worksite sensors are all in Punchtime’s feature pipeline. Wearable devices are another exciting opportunity to further connect people to safer worksites. Punchtime is working to integrate monitoring for falls and vital signs, which will lead to faster response times and shared health awareness. Imagine a worksite with active knowledge of people’s health and well being. A fall or irregularity in an employee’s heart rate would alert the right people for help automatically for immediate assistance. Punchtime will continue to innovate safer, smarter worksites.